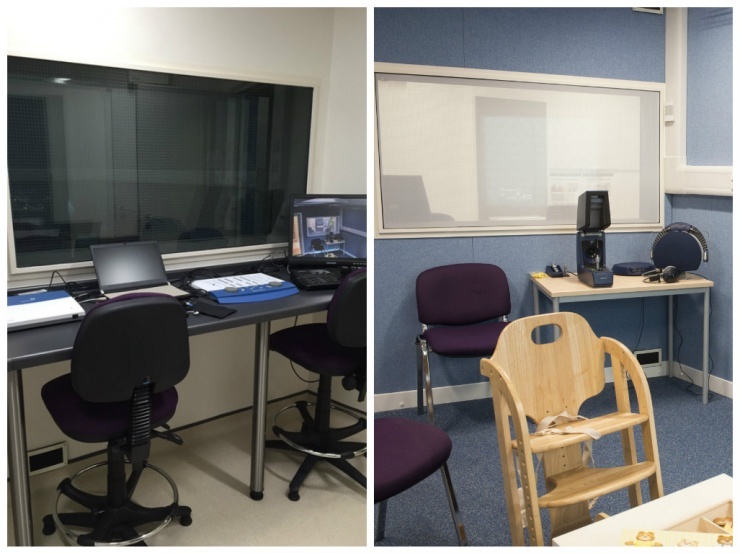 The children’s CRF is home to a state-of-the-art audiology booth, which was installed in 2016 during the facility’s refurbishment. The installation of the booth was made possible by supporters of Royal Manchester Children’s Hospital Charity and includes the ‘senses’ theme which runs throughout the revamped facility. Hearing loss is the most prevalent untreated sensory deficit affecting individuals throughout the lifespan (from infants to older adults), and is the third leading cause of years lived with a disability. The disease burden is widely recognised by the Department of Health and NHS England – who published an Action Plan on Hearing Loss in 2015. Due to work piloted from Manchester, every UK baby is offered a hearing check just after birth. The booth’s walls are treated with sound-absorbent material and its specialist construction cuts out sounds from outside to leave a very quiet space inside. 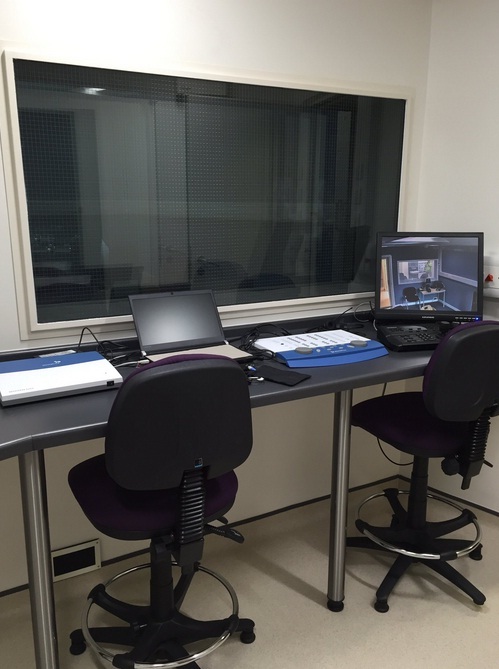 Outside of the room, but connected via a viewing window, is a control room where an audiologist sits. Working as a team, an audiologist in the control room and an audiologist in the booth, co-operate together to measure the hearing of a child. 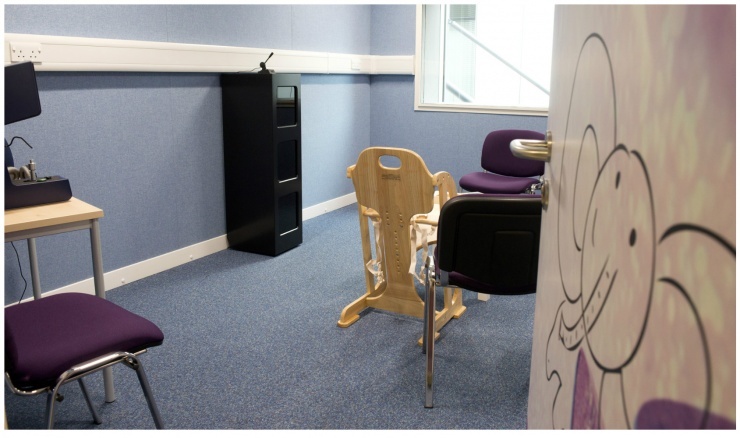 As this is an unfamiliar space, especially for young children, a parent or carer is welcome to sit within the audiology booth.